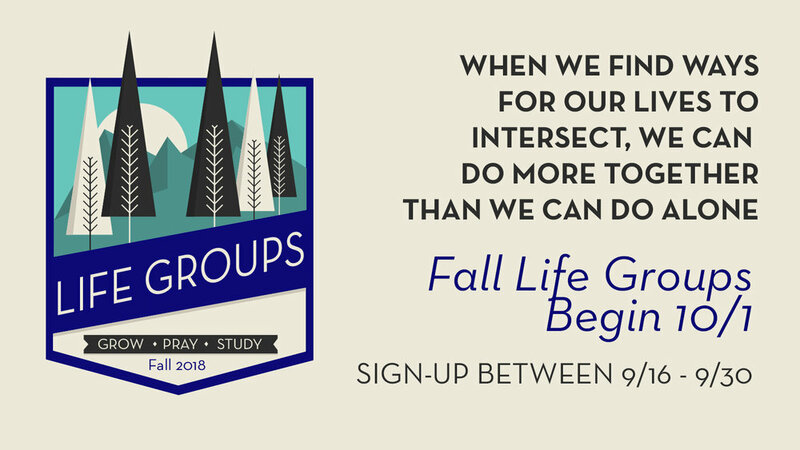 These groups are for those interested in getting to know others outside our Sunday gatherings and to discuss the weekly message. Between October and December, we will meet six times to discuss how each message applies to our daily lives. parallel the weekly message series. We will spend time praying and provide mutual support for one another. Holistic practices for women who wish to nurture a healthy mind, body, and soul. Includes easy healthy meal planning, prayers & meditations, yoga, exercise, journaling, honest table talk within a safe, accepting community. CORE Communities gather regularly with 3-5 people of the same gender, to grow together as disciples of Jesus. “CORE” is an acronym that stands for; Confession, Outreach, Reading, Encouragement. Groups are self lead and determine meeting time, day, and place. Whether it’s before work, during nap time for kids, or late into the evening, groups are suggested to meet either weekly or bi-weekly, and last 60-75 minutes. We believe the following 4 practices, when lived out together in groups will help create rhythms of living out a life in Christ. CONTACT: Jimmy@believedoubtseek.org for group materials or info on how to start or join a group.